French potato recipes are some of my favourite dishes – they are so yummy and comforting, yet easy and very economical too. Some can be used as starters or appetisers, a side dish, or even a meal in themselves. So if you love potato recipes, you may love these French potato recipes too...and not a chip in sight. The potato has been part of the French diet for a long time since around the time of Louis XV1 in the 17th century. Initially it was thought that they could be grown in abundance for the peasants to eat. However, it was not a popular food at first – even the dogs wouldn't eat them. Potatoes are part of the deadly nightshade family and this is still true today; we should not eat them if they are green. The French peasants saw that the Count Parmentier, Antoine Augustine Parmentier (1737-1813), who was employed by Louis XVI, had royal guards protecting the potato crops on land on the outskirts of Paris. He had tricked them into believing that they were an expensive and truly valued vegetable. A little bit of reverse psychology maybe? Of course the humble potato immediately became accepted and the rest is history, as they say, with many potato dishes having been invented over the years, including Pommes Parmentier, which was named after the Count. You can see just how many different varieties of potatoes they have in France at The French Potato Board. How impressive is that? – and of course you will now know which ones to buy when you are in France! 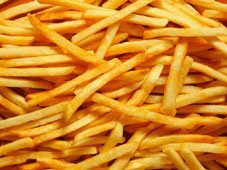 ...and you can start with this easy recipe for the ubiquitous frites, or French fries. 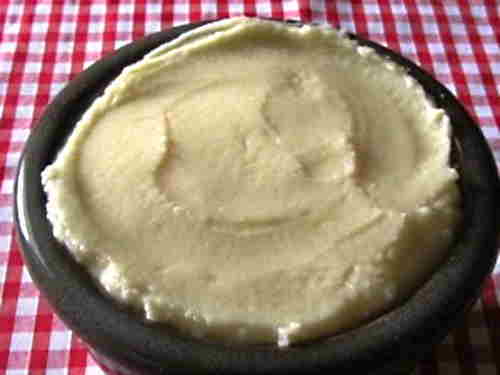 Aligot is one of the oldest traditional dishes originating from the Aveyron in the Midi-Pyrénées – a delicious cheesy potato dish and really yummy. This is a warming and tasty thick potato soup with a touch of cream and cheese for a dreamy comforting starter or light meal. 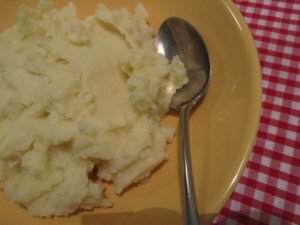 A bowl of wonderful creamy garlic mashed potatoes will be a tasty accompaniment to any dish you love. 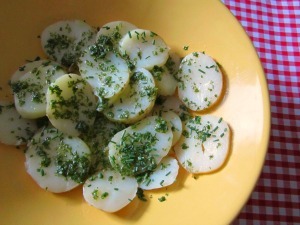 This has to be the most beautiful of all French potato recipes. It is the most tasty and creamy bowl of absolute passion! Beware! 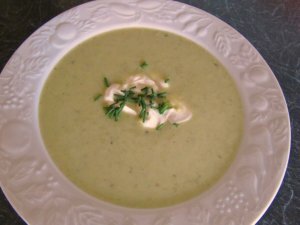 A very easy French recipe for leek and potato soup which is so warming and delicious. A very economical meal for your family or a tasty starter when entertaining! You will love it! This is an easy yet tasty salad and is an excellent addition to your French salads or hors d'oeuvres. This is a velvety smooth cold soup which is very easy to make and yet will make a big impact with everyone at your table. Usually served in the summer but hey, it's good all year round! For a heart-warming winter meal, try Tartiflette, a dish from the Alps. Fondant potatoes are sure to impress your friends, and although you need to tweak Pommes Anna to get it just as you like it; it is both fairly simple and delicious. And a change from aligot is the warming truffade, also a dish from the Auvergne. For something a little more healthy than, say, Gratin Dauphinois, try Pommes Boulangère.